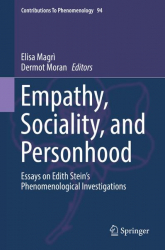 byte.to Empathy Sociality and Personhood Essays on Edith Steins Phenomenological Investigations - Filme, Spiele, Musik, Bücher und mehr kostenlos downloaden. This book explores the phenomenological investigations of Edith Stein by critically contextualising her role within the phenomenological movement and assessing her accounts of empathy, sociality, and personhood. 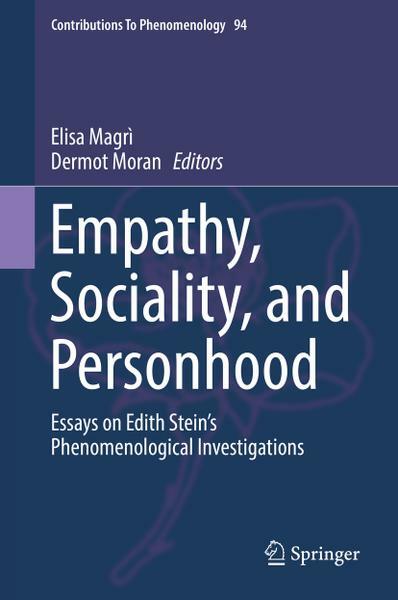 Despite the growing interest that surrounds contemporary research on empathy, Edith Steins phenomenological investigations have been largely neglected due to a historical tradition that tends to consider her either as Husserls assistant or as a martyr. However, in her phenomenological research, Edith Stein pursued critically the relation between phenomenology and psychology, focusing on the relation between affectivity, subjectivity, and personhood. Alongside phenomenologists like Max Scheler, Kurt Stavenhagen, and Hedwig Conrad-Martius, Stein developed Husserls method, incorporating several original modifications that are relevant for philosophy, phenomenology, and ethics. Drawing on recent debates on empathy, emotions, and collective intentionality as well as on original inquiries and interpretations, the collection articulates and develops new perspectives regarding Edith Steins phenomenology. The volume includes an appraisal of Steins philosophical relation to Edmund Husserl and Max Scheler, and develops further the concepts of empathy, sociality, and personhood. These essays demonstrate the significance of Steins phenomenology for contemporary research on intentionality, emotions, and ethics. Gathering together contributions from young researchers and leading scholars in the fields of phenomenology, social ontology, and history of philosophy, this collection provides original views and critical discussions that will be of interest also for social philosophers and moral psychologists.